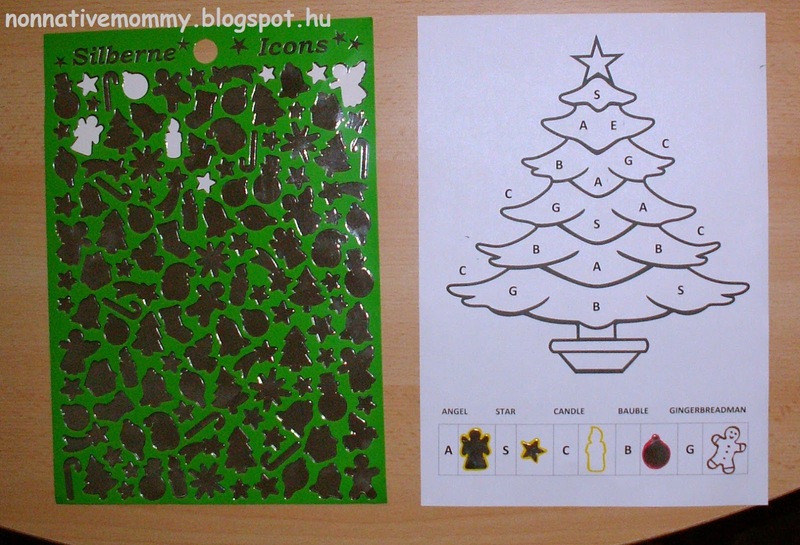 Here I’d like to present you 2 ideas in connection with decorating a Christmas tree. I had some Christmas stickers from last year (I’d bought this sheet in KIK for 300 HUF) and I added an angel, a star, a candle, a bauble and a gingerbread man. These stickers are really cool. 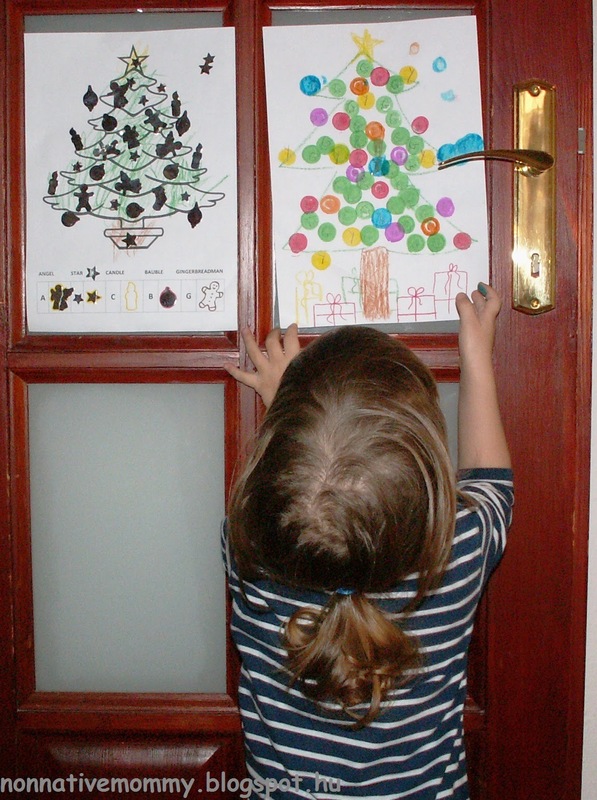 They easily come off the paper, so I took off the candle and the gingerbread man, just for fun. Later, E. put them back. One afternoon after her nap this was the scene waiting for her. 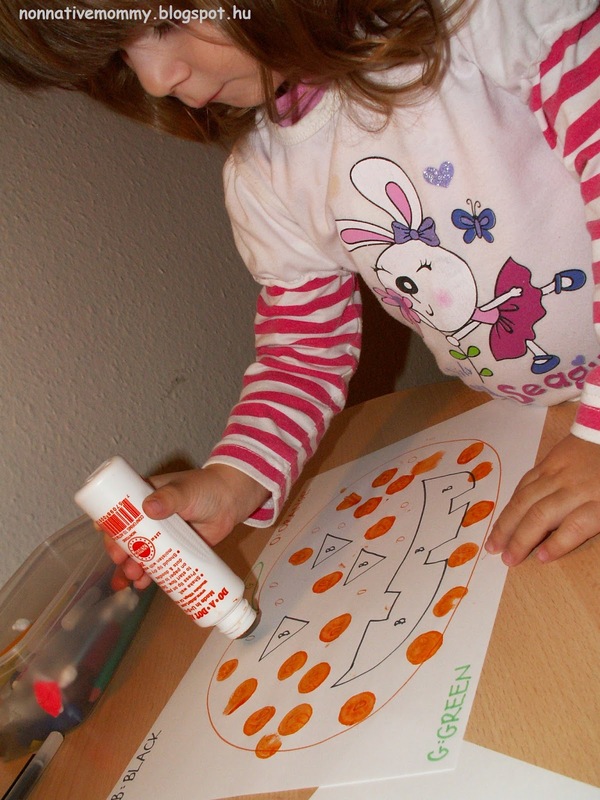 She needed to search for a figure and stick the right sticker on the starting letter of the word. 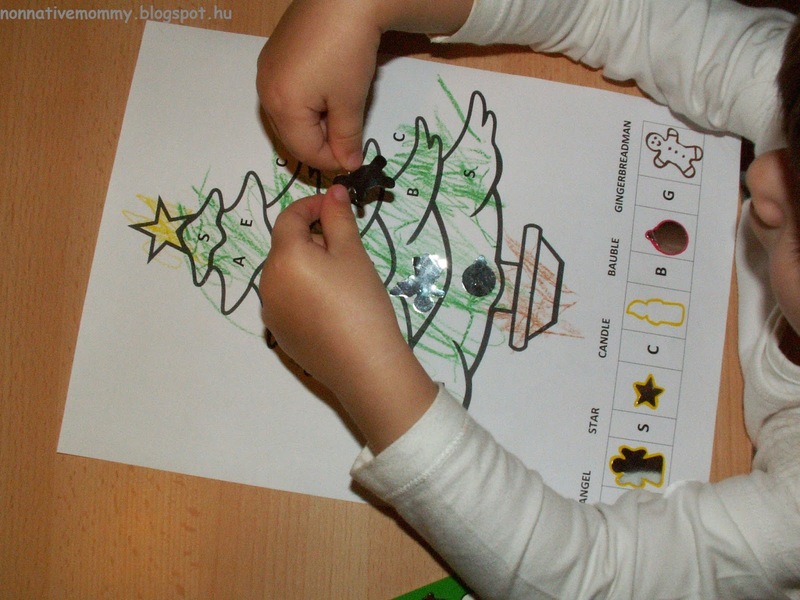 But first she coloured the tree green, the star on the top yellow and the trunk brown. A little more colour talk. I had to add some more letters as she wanted more baubles and stars. 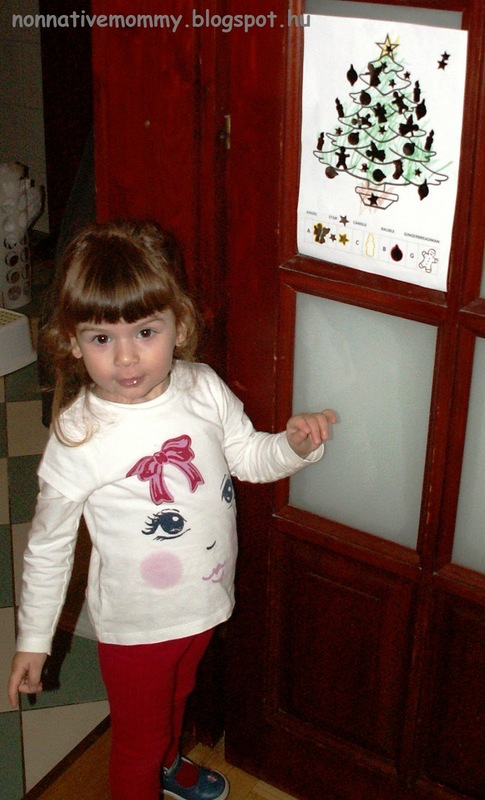 When she’d finished we displayed it on the door of our living-room. 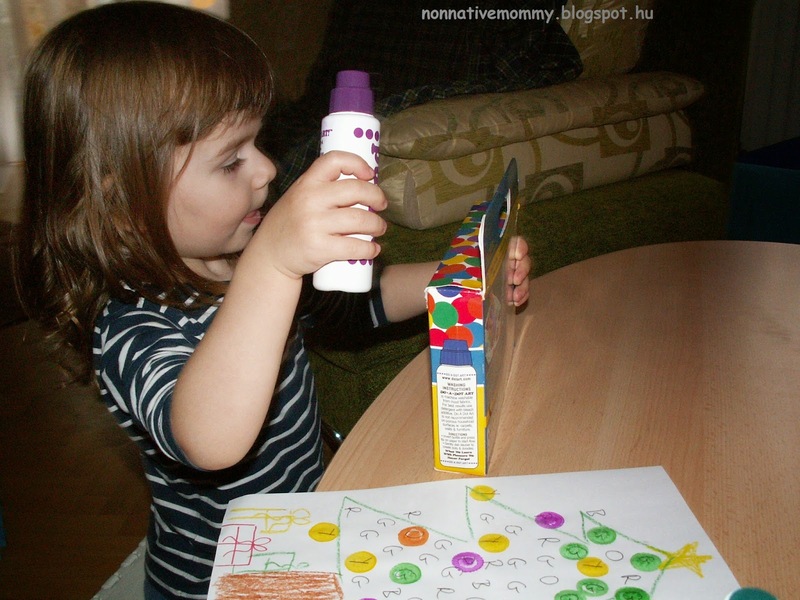 We got a box of DO-A-DOT markers for E.’s birthday in May and ever since we’ve had so much fun with them. 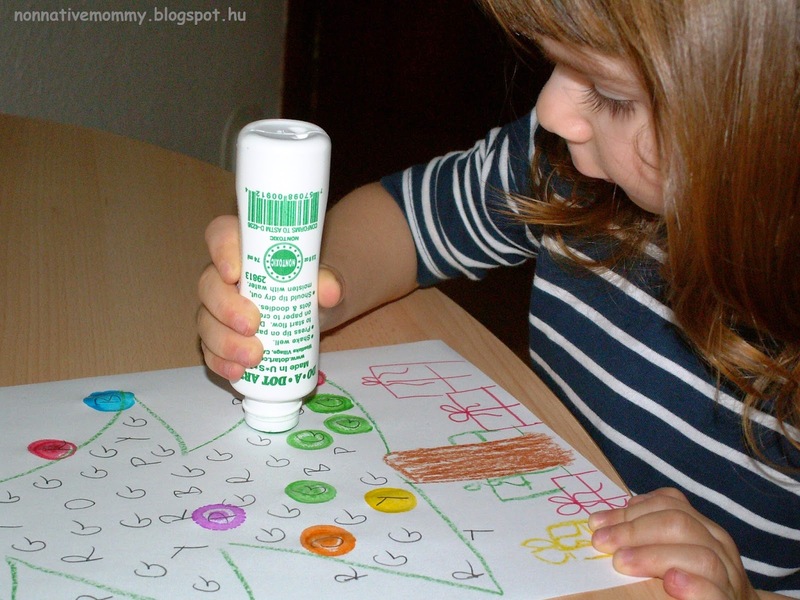 Actually, I saw this dot the letter Christmas tree activity online, though we’ve done a similar dot marker activity at Halloween with a pumpkin. 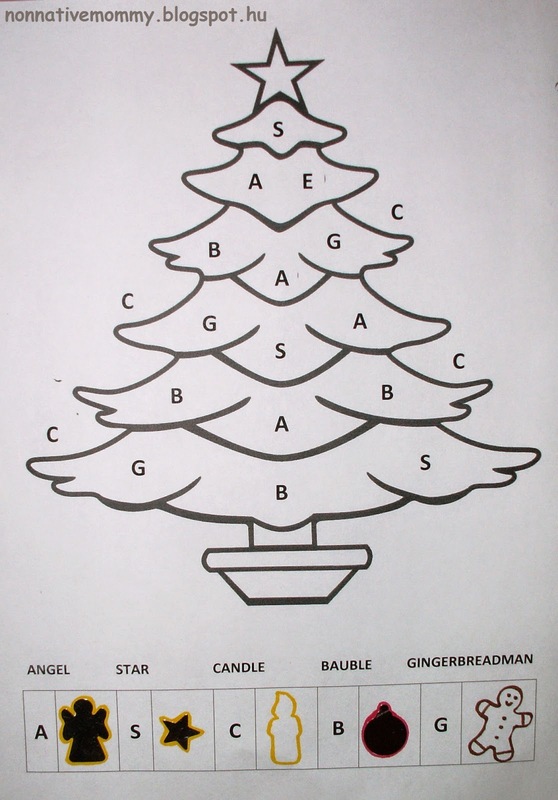 This time I drew a Christmas tree with some presents below it. I wrote the beginning letter of the colours, like G for green (a lot of them, though I should have written even more), R for red, Y for yellow, P for purple, B for blue. I prepared all the dot markers well in advance. I took off the lids so E. didn’t need to although it could be a nice fine motor skill practice. 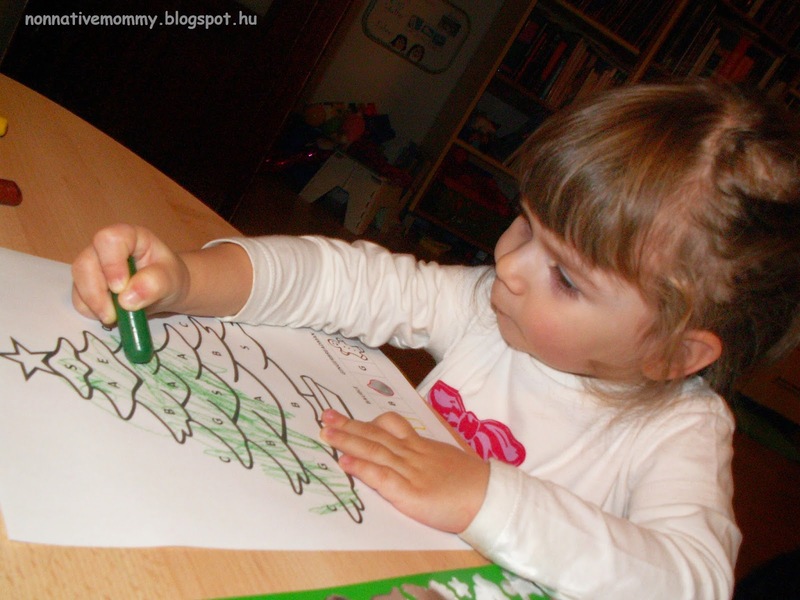 There were quite a lot to do with the Christmas tree and I didn’t want her to get bored with the opening of the markers. 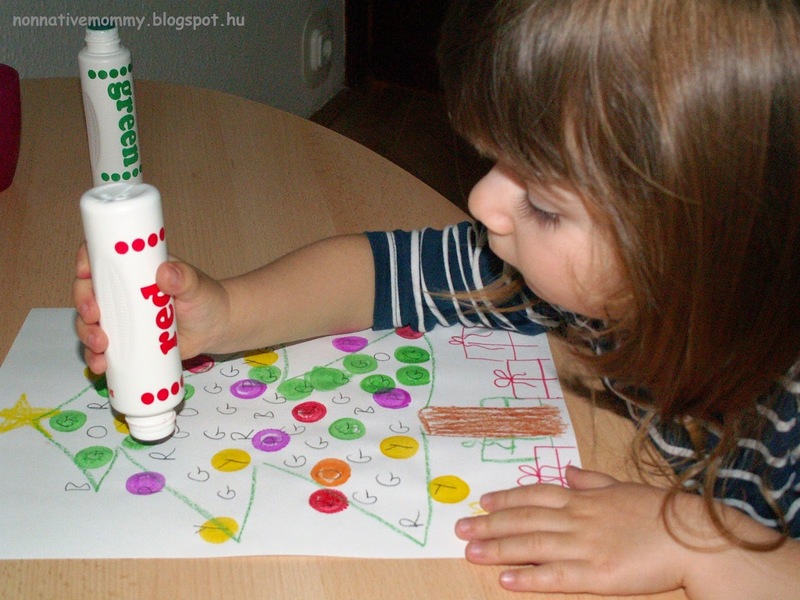 First, she tried almost all of the colours, then she stuck to one colour and finished dotting all of them on the sheet. As I’d always been telling her to put the lid back on the markers she decided to put it back and pack away the marker when she’d finished with a colour. Then we put the finished Christmas tree next to the other. 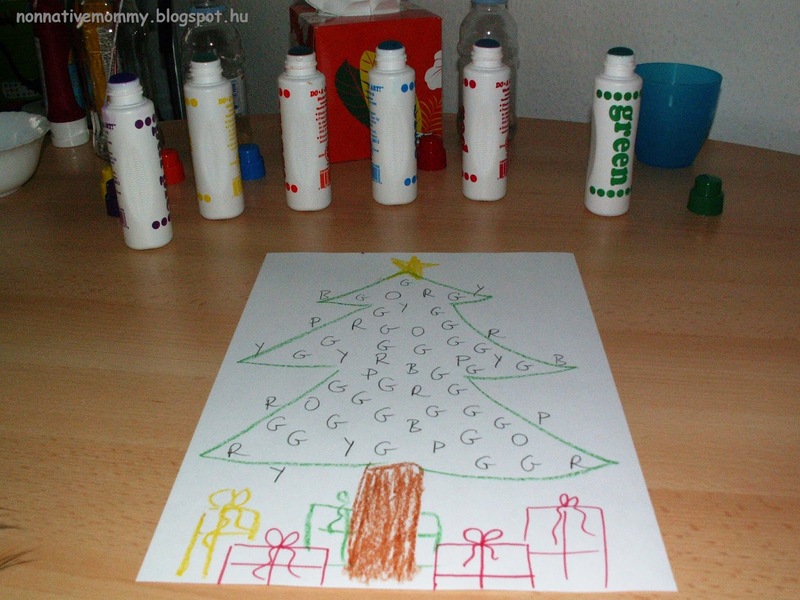 I have some more Christmas tree ideas from paper plate with some painting and sticking, however some snowy crafts are on the way too. We’ll see what we have time for.